The main purpose of a wheel alignment is to ensure that the wheels of your vehicle runs in a consistent way to each other so that both the front and rear wheels touch the road at similar angles. Well aligned wheels helps you in fixing or avoiding related problems such as crooked steering wheels, vehicle pulling to either sides or uneven wearing of tires. Wheel alignment does not need the replacement of any parts, making the process to have a strong influence on the cost of local labor. 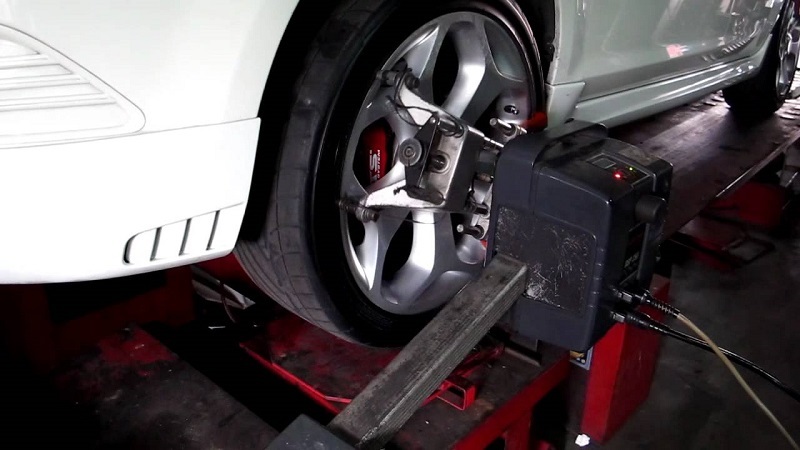 Performing wheel alignment on your vehicle stands out as a major factor of maintaining the quality of your car. Proper maintenance of your wheels on a regular basis will reduce the cost incurred in repairing other parts of the vehicle since the stability of your car depends on the condition of the wheels. Furthermore, aligned wheels will have a direct impact on the durability as well as the performance of the tires. It can also significantly help in improving the reaction of your car on the road and comfortability of driving it to give you a smooth and safe drive. The average wheel alignment cost varies with the car model and the professional mechanic servicing your vehicle as well as the equipment used by them. However, you need to do some market research on the various costs of performing wheel alignment on your vehicle to help save your wallet a whole bunch of money. General recommendations indicate that the average cost of aligning the front or rear wheels of most vehicles range from $40 to $70 while the average alignment costs for all four wheels range between $70 and $100. With respect to your region, your vehicle’s make and model as well as the length of the vehicle’s warranty, some specific car repair shops charge somewhere between $30 and $100. With the intention of getting the right wheel alignment, some Asian and European car models need more innovative and special computer tools that you can only find in reputable car dealer shops. Again, depending on your car’s warranty, make and model as well as your location, the cost may range between $80 and $450 or even more. Typically, almost every car dealer and service center can help you align your wheels as per your requirements, but remember that the average cost of such services significantly vary with different companies. The most important thing is to make inquiries at your chosen shop, car dealer or professional mechanic about their pricing. Some service providers can perform a onetime alignment using your car warranty depending on the specific mileage of the car. Some companies can allow you to perform wheel alignments free of charge after extending your warranty or any extra alignments for a definite period. With the right wheel alignment, vibrations on your car will significantly reduce and the vehicle will retain a straight course than towing to one side of the highway. Many service centers or professional mechanics have their average wheel alignment cost between $80 to $250 for a single alignment or for an extended warranty respectively. Therefore, wheel alignment is a very important precautionary maintenance process to perform on any vehicle since it guarantees the wellbeing of the car’s operation. It is highly recommended that you do a thorough research with regard to the cost of alignments from different retailers to land on a suitable deal.